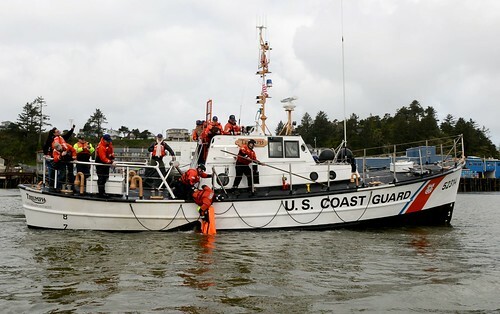 Coast Guardsmen and emergency medical services personnel assist a person who was injured in a vessel collision and medevaced to Sector San Diego Oct. 26, 2018. 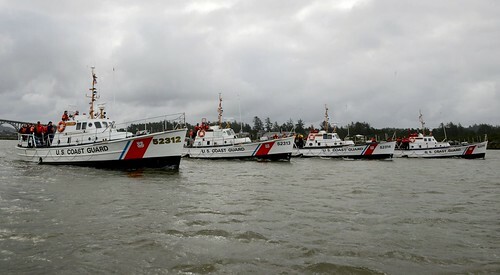 Coast Guard photo by Fireman Taylor Bacon. 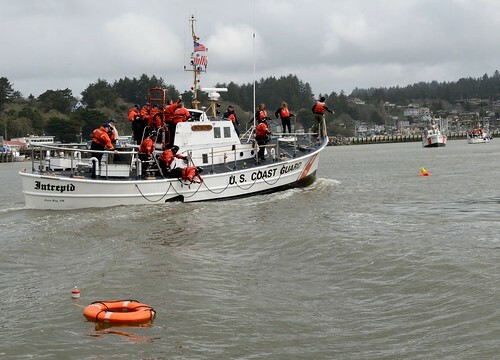 SAN DIEGO — The Coast Guard medevaced an injured person via helicopter and rescued 17 passengers, after a vessel collision near the maritime boundary line. 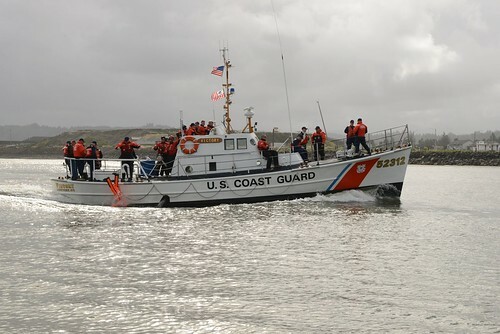 The crew of the 332-foot yacht, Attessa IV, contacted Coast Guard Sector San Diego’s Joint Harbor Operations Center watchstanders at approximately 7:50 p.m. reporting a collision with the 65-foot sportfisher, Prowler, approximately nine miles offshore of Imperial Beach that resulted in extensive damage to the starboard quarter of the sportfisher and multiple injuries. 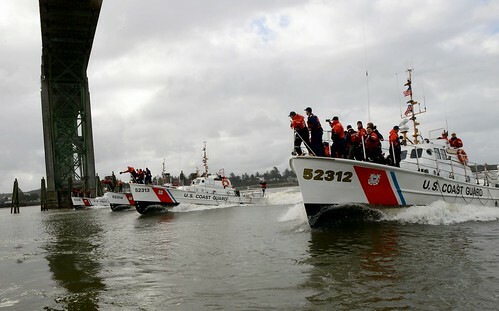 A Coast Guard Sector San Diego MH-60 Jayhawk helicopter crew and a Coast Guard Station San Diego 45-foot Response Boat-Medium crew were dispatched to respond. 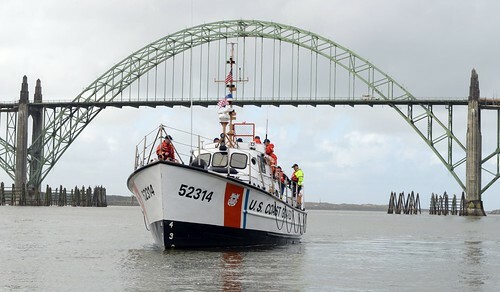 The Coast Guard Cutter Sea Otter was also diverted to assist. Crews arrived on scene at approximately 8:45 p.m. The Jayhawk crew hoisted a critically injured passenger and returned to Sector San Diego where awaiting EMS took the man to UC San Diego Medical Center – Hillcrest in critical condition. The RB-M crew transferred 17 passengers, 2 reporting injuries, from the Prowler and took them to Sector San Diego. 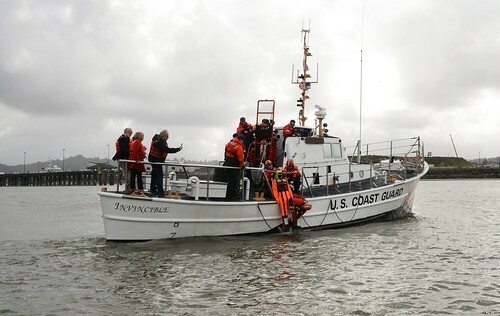 The remaining ten passengers were transferred to the Attessa IV and returned to San Diego, while the captain remained aboard the Prowler. The Sea Otter remained on-scene with the Prowler awaiting commercial salvage.